Royal Panda casino is without a doubt the coolest gaming site available online. RP has the most friendly and intuitive design that we’ve seen. There are plenty unique features that you can’t find anywhere else. For example you can play up to 4 games simultaneously (see the screenshot below). If you are a slot machine player, you can find which slots haven’t paid for a long time using the “Hot and Cold” slots feature. The only reason why we haven’t rated it as our top brand is that it was launched less than a year ago. If it continues in the same direction, very soon we will need to update our ranking. Restricted Countries: Belgium, Denmark, France, Israel, Spain, Turkey, United States. Click here for USA online casinos. Languages: English, Swedish, Spanish, Dutch, Chinese, Czech, Polish, Portuguese. Currencies: Euro, Dollar, Pound(coming soon), Swedish Koruna, Polish Zloty, Czech Koruna, Mexican Peso, Brazilian real. The bonus is on first deposit only, T&C apply. Min bonus:£10, max. £100. Bonus/free spins winnings wagering requirement: x35. Max. bonus bet: £5, can vary. Deposits with Skrill, Paypal, Neteller and Paysafecard not eligible. With many casinos it takes time to get used to them. That’s not the case here. 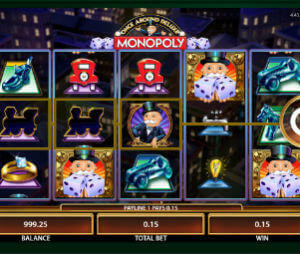 The design and the interface of Royal Panda casino is nothing but perfect. It’s simple, exiting and very intuitive. Within a minute you will find everything you need. RP is a flash casino, meaning you do not need to download any software in order to start playing. Another advantage of RP, is that it allows you to try all their games for fun and without registration. And you just have to try the simultaneous game feature… For us, 4 games at once was a bit too much, but 2 simultaneous games was just perfect. Royal Panda features games by Microgaming, Net Entertainment and live dealer games by Evolution Gaming. No matter what game you like to play, from classic fruit machines to the advanced 3D slots, from Keno to live dealer multiplayer Blackjack- you will find it. Mega progressive line includes the world famous Mega Moolah, Arabian Nights and the recently launched The Dark Knight slot machine. Live games feature live dealer Black Jack, Baccarat, Casino Holden and various Roulette types. New players at Royal Panda casino will get a 100% match bonus up to €100. The wagering requirements are x35 the bonus amount, which is good. Royal Panda offers only one continuous bonus which you can claim every week – the Bamboo bonus. This is a 30% up to $300. Please notice that you can claim this promo only on Fridays (00:00 and 23:59 CEST), once per week. Similar to all online casino, while playing you will earn casino comp points. However Royal Panda took it to the next level with a special shop, where you can exchange your comps for Free chips, Free spins, Royal Panda branded t-shirts and caps, Iphone, Ipad, Macbook, Rolex watch and even 2 tickets to Vegas. Royal Panda casino has a superb banking system. You can find pretty much every possible method. The deposit range is great, with minimum deposit of €10 and maximum deposit of €15,000. Withdrawals are fast and smooth. For example if you use online wallets, your account will be credited on the spot. Credit card and bank withdrawals take 1-3 days to hit your account. The minimum amount is €10, while the maximum is €5000 per day. Royal Panda Mobile casino is available on all smartphones and tablets. Currently there are close to 60 casino games available, including various slot machines, roulette, blackjack and live casino games. The support is very professional and friendly. You can contact them on Live chat, email or by phone. The downside is that they are not available 24/7. The support hours are 7 days a week, from 9am till 10:30pm (GMT+1). As we said at the beginning, at the moment, Royal Panda is the coolest online casino out there and if you haven’t tried it – you should. The only aspects they need to improve is to add more running promotions and to add more currencies to their banking options.